If you edit in Lightroom but like to finish your work in Photoshop did you know you can still make changes to the work you did in LR? The edits you make in PS can be visible in LR automatically. All the work you did in PS and LR can be accessed and tweaked. It’s so wonderful! This video shows how to do it! It opens a lot of doors. Next one I’ll show how to do it with a composition. 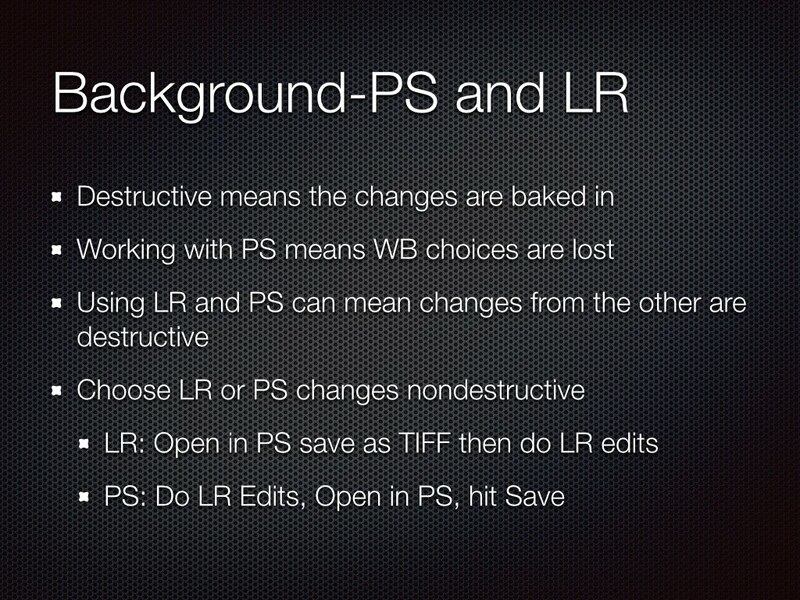 Take multiple pictures from LR and go to PS and still be able to make changes from LR. This video is an example of the custom videos I make to help my Lightroom tutoring students get Lightroom to work for them. I have a whole class just on PS to LR to deal with the easy tricks and the nuisances.